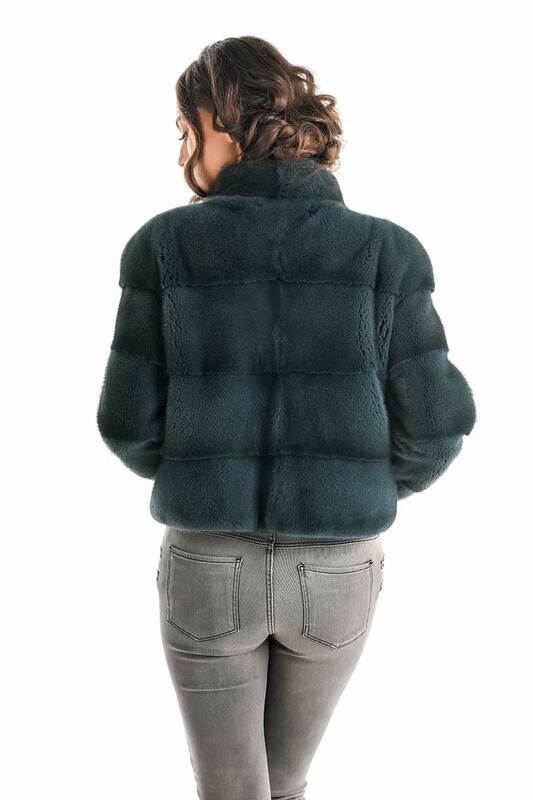 This women’s coat is made of mink fur of the highest quality, being a very stylish and warm coat that will make you always comfortable. The olive color of the fur reveals its soft and very pleasant texture to the touch. The length of the fur coat is short, so it also fits casual outfits, not just elegant ones for occasions. The sleeves ensure comfort and freedom of movement, being also a trademark of refinement. A quality mink fur coat is certainly more than a purchase, an investment in your wardrobe.